Reading 1: 2 Cor. 4. 7-15; Gospel: Mt. 20. 20-28. 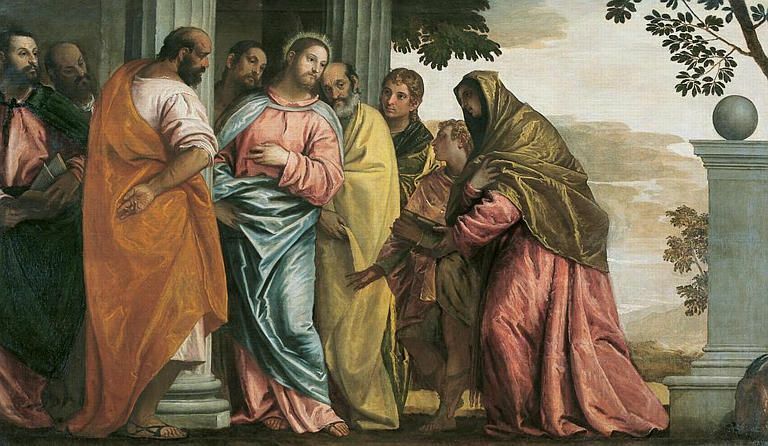 In today’s Gospel we come across a beautiful incident where a mother comes to Jesus with a wish which seems to be selfish in the eyes of others but for the mother it is her expression of love for her sons. The mother of the sons of Zebedee comes with a request to Jesus – to give them a place at the right and left side of Jesus in His kingdom. Jesus does not condemn them for their so called ‘selfish desire’ rather asks them a challenging question’ are you able to drink the cup that I am about to drink”. To this question they give a sincere and committed answer: “yes we are able”. Jesus confirms their answer with much love and appreciation. But I was quite surprised at the answer of Jesus; the privilege of sitting at his right and left side in his kingdom is prepared for those it has been prepared for by the heavenly father. It is very easy to be the part of great in the world but, to be a servant among the great requires a lot. In a world where being great by any means, God looks for someone who can be a servant just like Jesus. Why Can’t you? It is true that the evil of slavery is eradicated from the world. But slavery still exists in various forms. According to me the worst slavery is the crave for self dignity or slavery to oneself without consideration for the other. Jesus shed his dignity to give us all dignity. Are you ready to do the same? Thirdly, love demands sacrifice. Look at the cross and we can see the true meaning of sacrificial love. We are not asked to opt for crucifixion for others. we are asked to share the sufferings of those who are being crucified every day. Will you come to ease his/her shoulder to carry the cross? Let us be like Jesus, become a servant, slave and an example of sacrificial love and you will enjoy the prime place in the kingdom God which is already among us.